Official sources said the CBI has registered a preliminary enquiry to probe these allegations and is looking into the alleged role of Sisodia and others. 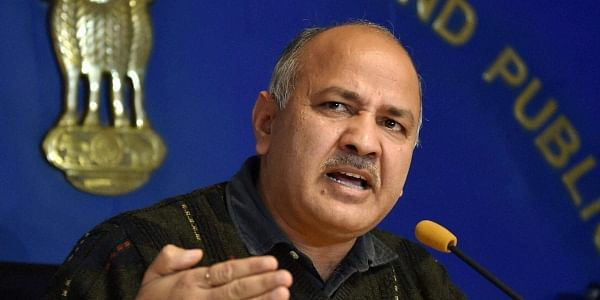 NEW DELHI: The CBI on Wednesday registered a Preliminary Enquiry against Deputy Chief Minister of Delhi Manish Sisodia and unknown others in connection with alleged irregularities in social media campaign "Talk to AK" promoted by the national capital Government. In its complaint, the Vigilance Department that a public relations firm was hired by the State government to promote "Talk to AK" (Talk to Delhi CM Arvind Kejriwal) campaign and a proposal worth Rs 1.5 crore was sanctioned for the PR campaign without requisite approvals. The Vigilance Department further alleged that the State Government hired the PR consultant despite objections from the Principal Secretary and the move caused a loss to the exchequer. Reacting to development, Sisodia tweeted,in Hindi saying, "Welcome Modiji. Come on the ground. I will wait for your CBI at my home and office tomorrow morning."